Perform clearance for all types such as business, investment, temporary import for re-export, temporary export – re-entry, processing, export production, sample, non-commercial goods, bonded goods … Depending depending on each different type of clearance, we ensure the stage is done safely and fastest (from the opening stages of the contract until the liquidity contract, from sewing machines to catalog imported equipment, materials scheduling imports, set the profile import declaration, setting norms and established the export declaration documents). 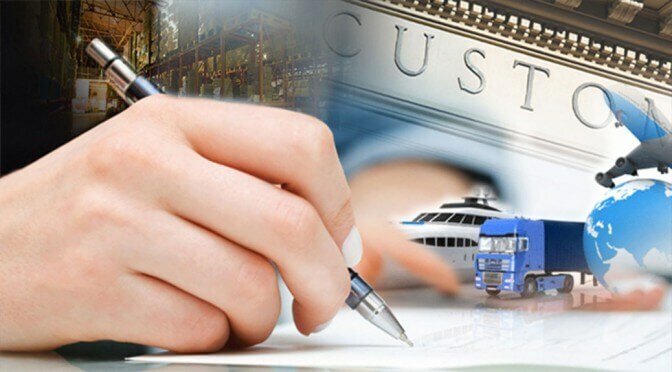 Customs clearance services for all types of goods imported aid goods, project, exhibition, goods in transit. Provide useful information about the regulations of other countries export from Vietnam, providing customs brokerage services at the destination. Advise clients on customs declaration forms appropriate tax access code, the customs value shall, as C / O, Full import duty and other tax policies are concerned. As a customs agent in Vietnam, we were allowed on behalf of importers and exporters named in the customs declaration. Delivering solutions that ensure measurable and quantifiable reductions to your duty and VAT liability. Advising on Import Licenses, HS Code. Ensure a smooth flow of goods without delays.